This pen has an amazing modern feel. The best part is that the design of this pen allows it to be operated one handed and still fit into virtually any shirt pocket although the material makes gives it a solid feel. Simple, functional and elegant all at the same time. There are no identifying marks, no logos and no engravings on this pen. What makes this 416SS mechanism so special? Mostly the material choice and time consuming manufacturing process refinements. Virtually all high-end pen mechanisms are made from brass and plated (easier and cheaper to manufacture but not as durable as ours), we decided to go nuts and machine it out of 416 stainless steel (a much harder and more durable material). This meant we had to have it Swiss-CNC'ed which, while more costly, means we can hold much tighter tolerances (less than .0005" all day long on the Citizen L-20). The G-Code programming done by our friend's shop re-traces the race toolpaths to debur all edges, taking more time but it also means that the chrome steel bearing glides smoothly and the mechanism cycles like butter. It's much more expensive and time consuming to make it this way but it really is pretty awesome. 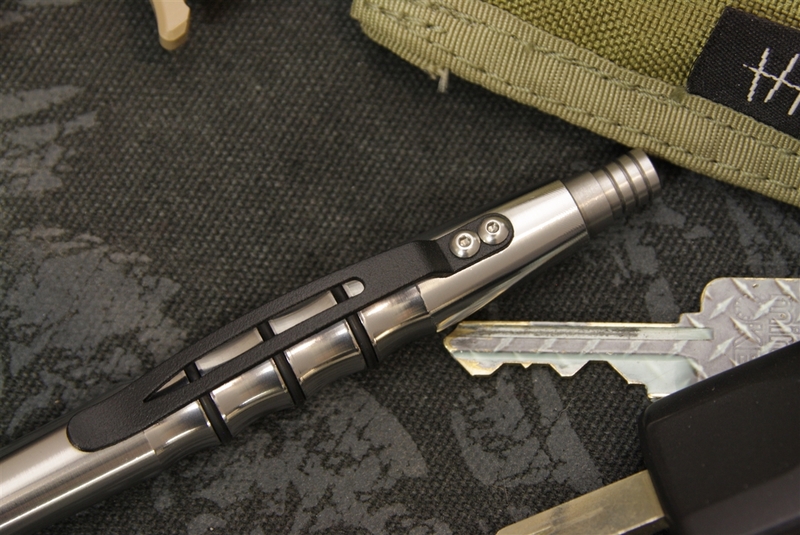 Plus, the 416SS and chrome steel will wear better and last much longer than plated brass. It's complete overkill for a pen mechanism but hey... if you're going to make one, might as well go all out, right? Isn't all of that a lot of work? Yeah, it really is but we make the best pens we can possibly make, something special that you'll be proud to own and carry with you for years to come. That's why we back them with a lifetime guarantee, because we make them to last a lifetime. What refills do the pens take? Take a classic design and mate it with a incredibly durable material in the form of 416 Stainless Steel then spend nearly an hour 3-stage polishing, finishing, fitting, assembling and here's what you get. 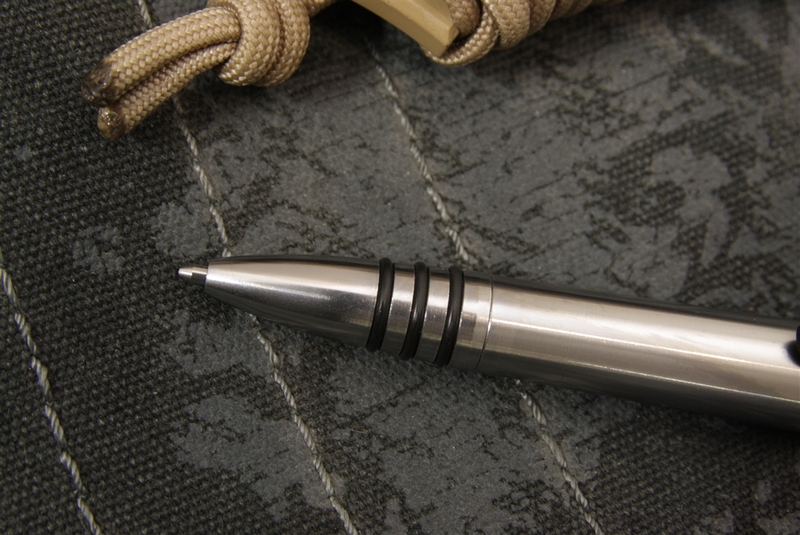 An amazingly durable, elegant pen you could almost beat through a 2-by-4. Easy to order....Received quickly....Well made great writing pen. Love the design and feel. Just a little heavier than I was expecting. I will order a mini next. Excellent pen with a good, comfortable grip. 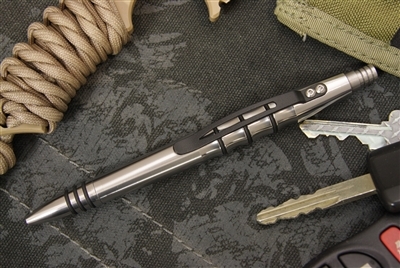 Being retractable and without a logo its acceptable in high security facilities where "tactical pens" are considered weapons and forbidden. Bravo Zulu Tuff Writer! I ordered the PPP in stainless and was waiting impatiently for it to arrive as I always do. Well the following day I received a phone call from Tuff Writer, they regretted to inform me that there was a issue with the website that allowed me to order a pen that wasnt actually in stock. The gentleman on the phone asked me a bunch of questions to help figure out what pen would be best for me. After deciding on the replacement I received a tracking number via email. The pen arrived and all I can say is WOW! This is the most well built pen I've ever seen. I have a few other "tactical" pens but none even come close to this one. The whole experience from start to finish was top notch and if your on the fence about spending the money on one of these pens.... Just do it. You won't be sorry!